These "What's In My Handbag" posts could now be called a series seeing as though this is the fifth one I've done. As a bit of a move from the norm as I have done this one in a video for #vlogchallenge rather than write it out and take photographs. I'm loving using a real satchel for my handbag - so much more than I thought I would have done. 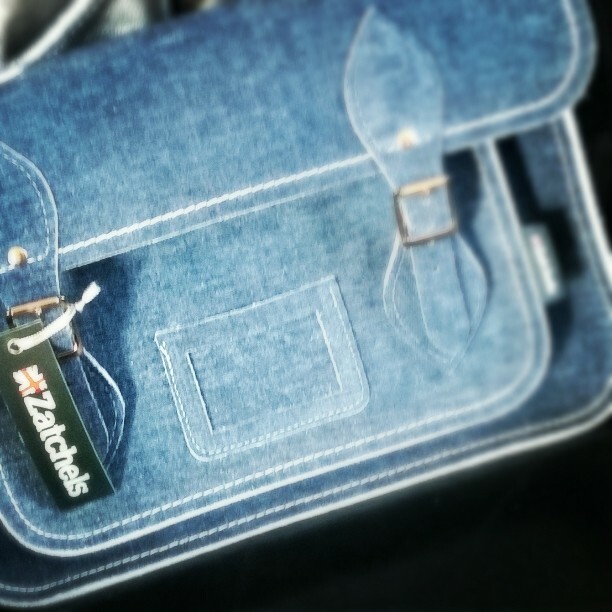 This satchel is a 13" and is from Zatchels, bought in the sale a short while ago. I did order another to use as a work/laptop bag but I have had to return it so that I can exchange it for a slightly larger one.